At Christmas Jessi gave me a present of a one night stay at a bed and breakfast and we decided to "spend" it this weekend at the coast. 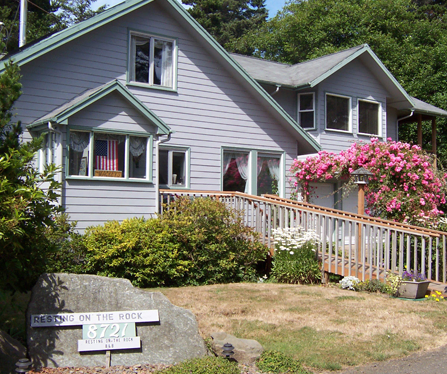 Jessi found a nice little bed and breakfast just South of Newport in Seal Rock call Resting on the Rock. It's run by an older couple with one sunset room and a suite. You can see the ocean from their place and easily walk down to the beach. 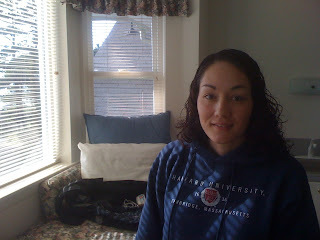 Once we were fully stuffed, we went back to our suite. Jessi worked on her puzzle (another Christmas present) while I read an excellent book. I'll share more about my book later. The next morning we woke up late (well... late for me, perfect for Jessi) and enjoyed a wonderful breakfast cooked by our hosts. We ate sliced fruit with whipped cream, banana muffins and a cheese/hashbrown/bacon bake. For drinks we both had water and apple juice. In addition, Jessi tried a couple teas and I had hot cocoa. It was an amazing meal! While eating we talked with our hosts and learned more about their life. They are very strong Christians and enjoy people visiting their house. The suite we stayed in was a recent update which they did all by themselves. Their business doesn't fully support them, but helps pay the property taxes, plus (and probably more importantly) it gives them something to do. After we ate, we spent some more time puzzeling and reading. 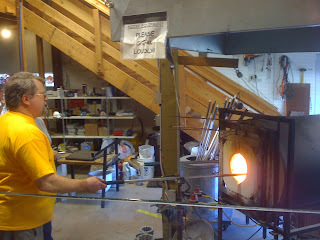 Around noon we headed out and watched a glass blowing class and grabbed some salt water taffy from downtown Newport. The glass blowing always looks like fun (and perhaps a good experience gift for Jessi in the future). It's cool how whole process is very precise, yet also very forgiving, and it always seems to turn out pretty. As for the taffy, it's becoming a tradition that any time we head to the coast we have to pick some up. Jessi only gets 3 flavors: Cinnamon, licorice, and peppermint. I on the other hand, like to grab 2-3 pieces of all sorts of different flavors. Then invariably, Jessi wants to try some of my flavors. It works. To cap off the day, we headed up to Salem to join some friends at a hot chocolate party. The hot chocolate was amazing and the games were fun. It was a fantastic mini get-away. We were able to unplug and just relax. I was very pleased with the gift. Jiu Jitsu Blue Belt Test Videos!